Wear your favourite Hat Day! Wear your favourite Hat Day! 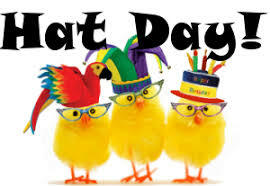 Friday, April 20th will be Wear your favourite Hat Day at Adams Road.